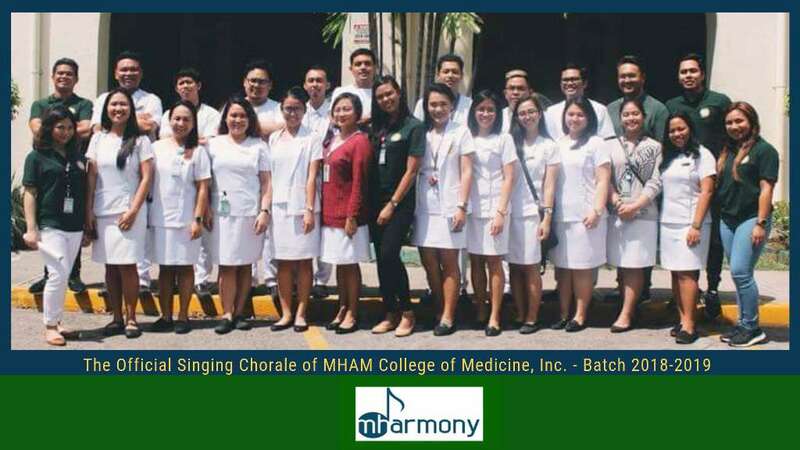 Molded to share their God-given and well-developed talent, time and availability, the official singing chorale of MHAM known and stylized as MHArMony, once again proved that learning and singing can resonate every melody along the grueling yet fulfilling years of becoming future physicians. 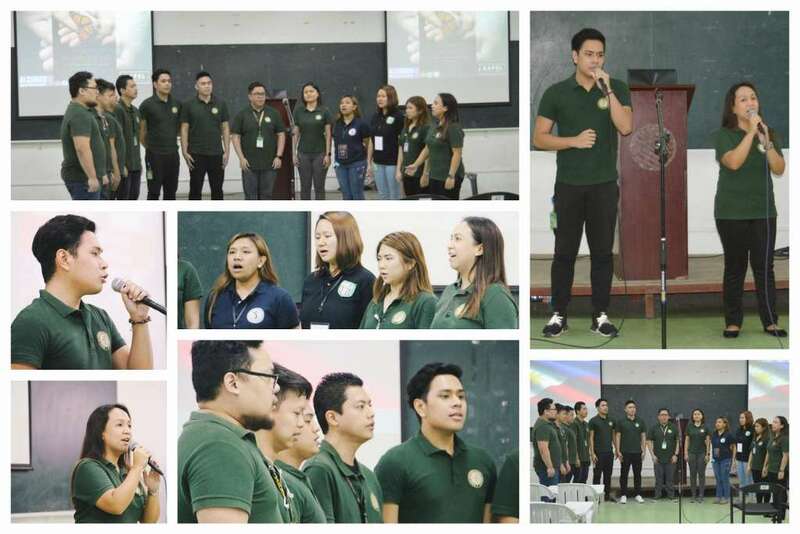 Founded by service-oriented and enthusiastically devoted aspiring doctors in 2015, the singing ambassadors of MHAM started with forty (40) pioneering members as their way to take a break from scholastic activities. 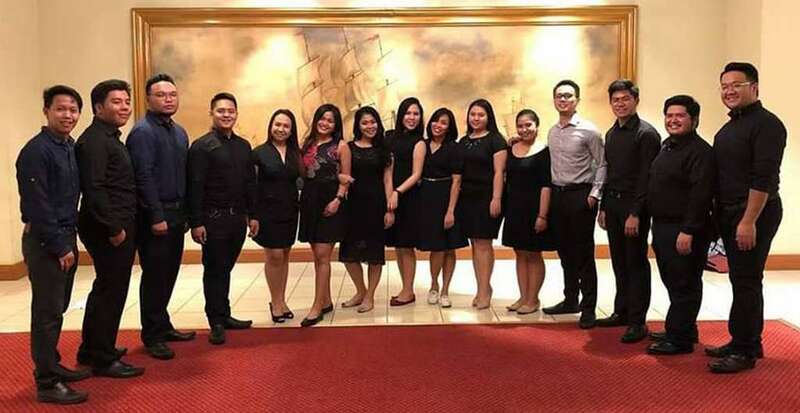 To date, they have thirty-five (35) active seasoned singers who redefined their commitment to share and reecho their angelic voices in various school events, off-campus gatherings and singing competitions in Cebu City and in Central Visayas. Driven to serve with a meaningful mission and to translate their soulful direction to glorify the ‘Giver of Gifts’ as they strive to become globally competitive and morally upright medical professionals in their chosen field, the MHArMony is set to bring their voices together as they will vie for the MedGroove, MedRhythmia (MGMR) competition on the occasion of the Association of Philippine Medical Colleges (APMC) 2018 Visayas Regional Convention on November 16 to 17, 2018. 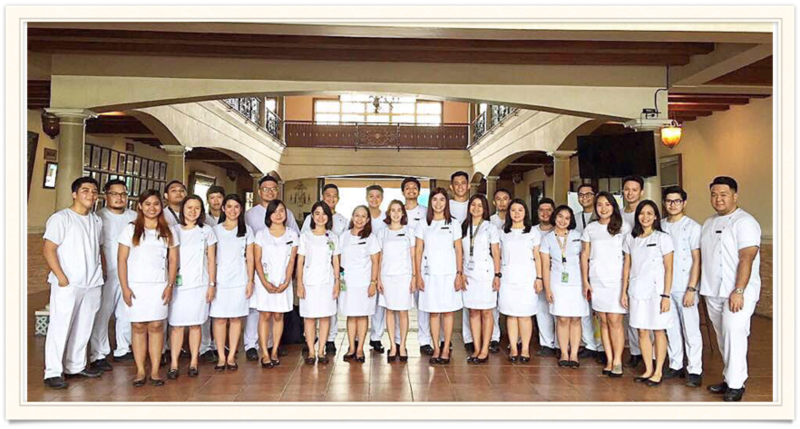 This year’s convention among medical institutions in Central Visayas will be held at Silliman University Medical School in Dumaguete City. Together with other MHAM student-delegates, the MHArMony is also invited to perform before an exclusive group in the ‘City of Gentle People’ through the invitation of MHAM President and Chairman of the Board, Mrs. Elma Aznar Sierra. The Sierra family also owned a seven-storey hotel at the very heart of downtown Dumaguete’s main business and shopping district known as SIERRA HOTEL and the SIERRA RESORT-Private Residences VIP Resort located in Lipayo, Dauin, Negros Oriental. We are MHArMony. We are MHAM. 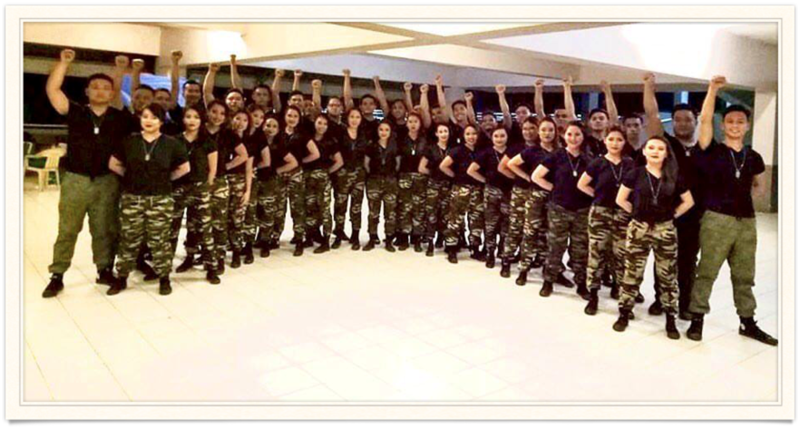 Motivated to bring home the fame-in-thy-name once again, the MHArMony showed their supremacy as they bagged being the first runner-up during the MGMR competition in 2015, besting other medical schools in Central Visayas. 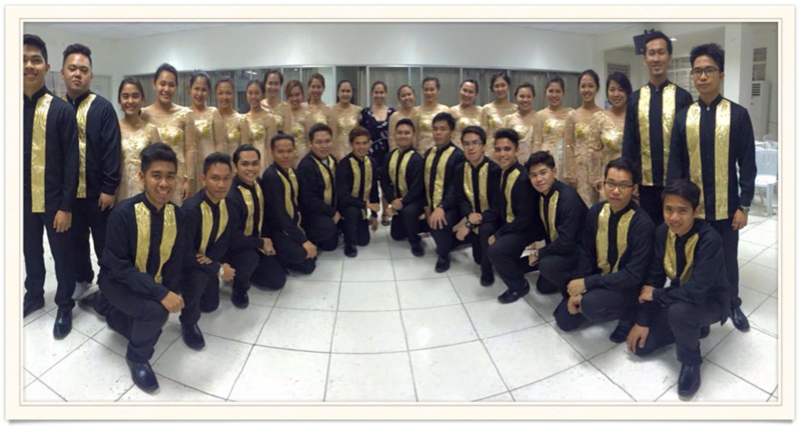 In 2016, the MHAM chorale made it again as they were hailed being the first runner-up during the 6th APMC-SN Visayas Regional Convention. Possessing an unprecedented ability in singing and the capacity to manage their time between rehearsals and studies, the MHArMony members, unlike other singing chorale, are the only ones who choreographed their performances where one of them served as the conductor. Passion aside, the story never ends in their medical journey because for them, music is in their souls, wherever they may be. In an interview with the current president of MHArMony batch 2018 to 2019, Kezia Earl D. Rivera, she expressed her delight in serving the MHAM community with the cooperation and unity among chorale members who made every event more significant with their well-blended voices. “Being a member since 2016, I fell in love with the group with how they conveyed music to people and inspired others in their own little way. This also served as a training ground for me to improve my singing and to get acquainted with other students and faculty as well. As this year’s MHArMony president, it is both an honor and challenge for me since I have to juggle between academics and singing with the group. Being a chorale member to a leader, it gave me an avenue to grow as a person in the midst of demanding schedules in med school. I realized how each member means to me; with the time we spent together that eventually made this singing group into a family, sharing the love of music, and making this as a getaway from our hectic schedules. And just like any family, problems may arise, but by God’s grace and guidance, we were able to overcome our problems little by little”, Rivera said. 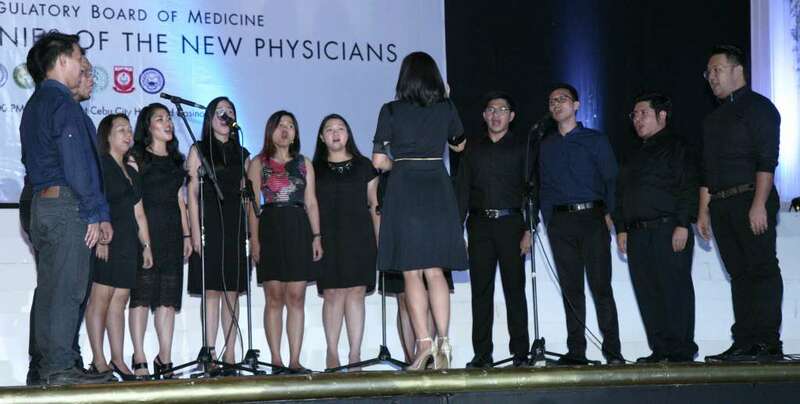 The chorale president, who is now in her third challenging year as a future physician, also added that the current members, mostly from the Seventh Day Adventists denomination were trained to become future leaders with the capability to serve and carry out the different tasks with limited time, to be available during immediate requests due to an eventful year and to cater to the different needs of the group and of individual members as well. 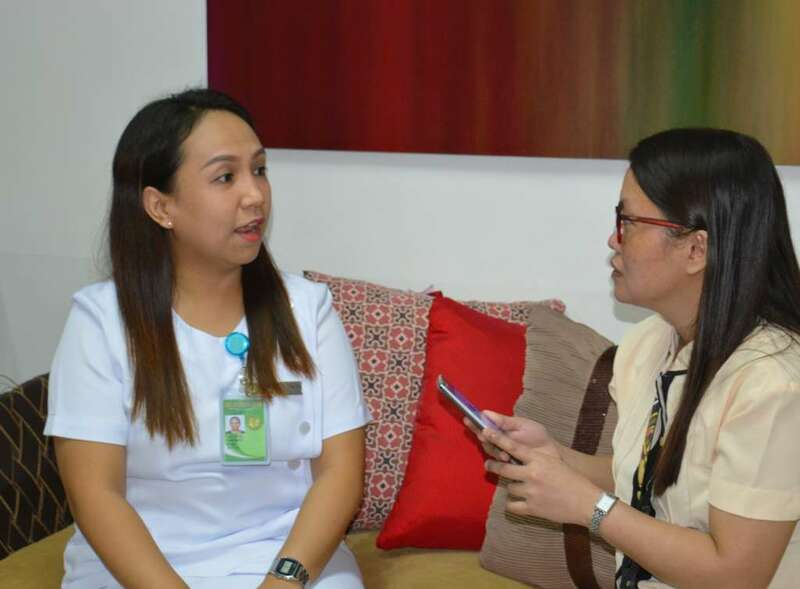 A registered nurse by profession from Cagayan de Oro City who aspires to pursue for Obstetrics and Gynecology or Geriatrics in due time, Kezia cited that being a chorale member and leader taught her how to deal with different types of people with utmost respect and esteem. Having been exposed and trained into singing by her grandmother at a young age, the MHArMony leader had her voice and piano lessons when she was still in secondary years. During her college days at Liceo de Cagayan University, she was a member of a singing group among nursing students and eventually enhanced her talent and skills in music. At the time when she learned about MHArMony during the orientation week way back when she was still in first year, she was encouraged by her senses to join the group aside from being recommended from a member back then. Her auditioned-piece on ‘Light of a Million Mornings’ was a beautiful entry and today, in return, she encouraged and will encourage other students to become inspiration to others where music and learning can become both fun. 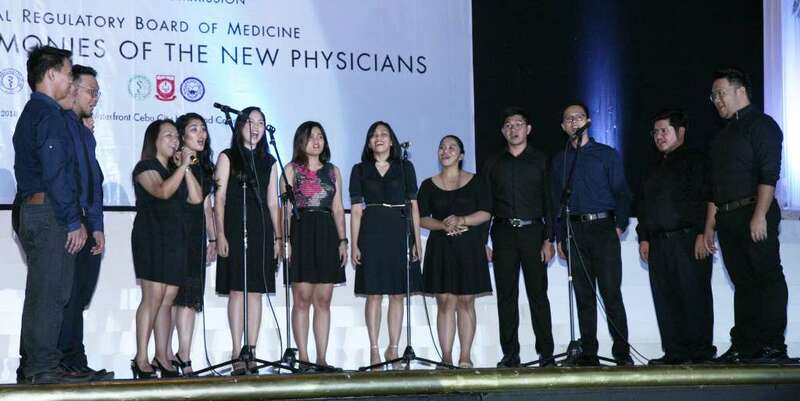 “A chorale member can inspire other future doctors by building and enhancing their singing ability in med school, by showing them how music can apparently affect their lives and by manifesting their passion made into service. Bringing our intention to uplift the name of the school, we are hopeful that our audience can feel the passion and dedication of each member, a reflection that our unity is indeed our strength. Soli Deo gloria”, she concluded. At present, the MHArMony also welcome generous assistance and kind support from benevolent individuals in order to sustain their mission and to inspire others in a world where music can soothe one’s soul.